Premium loaded U-cups provide more effective low pressure sealing through their two integrated seals. A primary seal element is inserted into the base seal and the elastomeric energizer is used to provide even more effective low pressure sealing. Premium loaded U-cups are exceptional for systems experiencing excessively low temperatures so leakage occurs before the system warms up. They’re used for both rod seals and pistons. Premium U-cups seal through two flexible, flared lips contacting the rod or cylinder wall. They seal on both the outside and inside diameters. 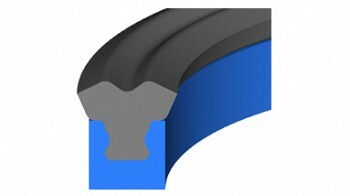 A finish of 8 – 16 RMS should be applied for dynamic contact surfaces. © J Royal. All rights reserved.